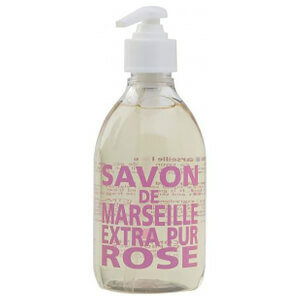 The Compagnie de Provence Liquid Marseille Soap Refill is a gently perfumed hand and body wash infused with a delicate fragrance* created in Grasse; a town on the French Riviera known as the perfume capital of the world. Made in a cauldron to maintain traditional practices, the naturally glycerined liquid soap uses Vegetable Oils and naturally foaming Coconut to gently yet effectively cleanse the skin of dirt and impurities. Can be used as a hand soap or bath and shower gel. Use to refill your empty Compagnie de Provence Liquid Marseille Soap dispenser. Free from colourants and animals fats. *A fragrance-free option is also available. Apto para lavarse las manos a menudo. Se puede usar también como gel corporal. Aplicar sobre la piel mojada, frotar suavemente y aclarar con agua abundante. 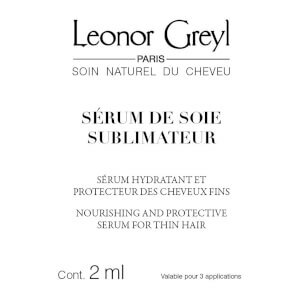 Aqua (Water), Potassium Cocoate, Glycerin, Parfum (Fragrance), Hydroxyethylcellulose, Polyglyceryl-3 Caprylate, Tetrasodium Glutamate Diacetate, Cocos Nucifera (Coconut) Oil, Potassium Olivate, Prunus Amygdalus Dulcis (Sweet Almond) Oil, Vitis Vinifera (Grape) Seed Oil, Limonene, Linalool, Citral, Eugenol, Alpha-Isomethyl Ionone, Benzyl Salicylate, Helianthus Annuus (Sunflower) Seed Oil, Tocopherol, Olea Europaea (Olive) Fruit Oil.